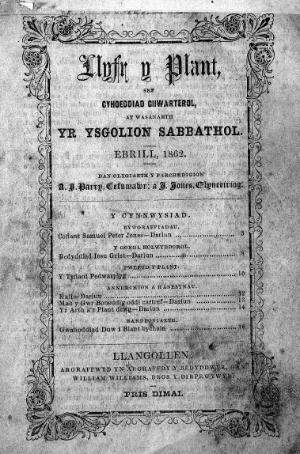 A quarterly Welsh language religious periodical serving the Sunday schools of the Baptist denomination. The periodical's main contents were religious articles, biographies and poetry. The periodical was edited by Abel Jones Parry (Cefnmawr, 1833-1911) and John Jones (Glynceiriog) until January 1863, and subsequently by Abel Jones Parry and Evan Jones.